Iâ��ve had a camera in my hand as long as I can remember, documenting the people, places and events that make up my life. I arrived on the West Coast 25 years ago to study Environmental Science and I have lived here every since. The natural beauty of the coast has imprinted upon my mind so profoundly that it shapes West Coast, Abstract and Architectural images that I take today. My love of the sea led me underwater to become a DiveMaster. The weightless quiet beauty of diving is so hard to describe that I tried to capture a sense of being there on film. With the addition of a family to my life I spend much less time underwater but do sail across the surface and spend endless hours exploring the forests that surround the sea. My images of these places is how I translate the way I feel about what I see. Digital photography has opened a level of experimentation that did not exist with film. The confines of time and developing do not apply and there is a freedom without limit. I cannot resist an incredible sunset or capturing the stillness of the sea but have now also added an avenue of expression that has extended this vision. 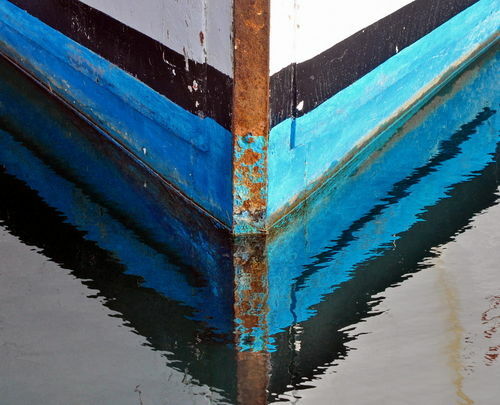 My Abstract and Architectural images reveal an appreciation for the symmetry and lines of the city, the hidden treasures of what is discarded or the stories that can unfold from an old fishing boat or building. The images are a reflection of my thoughts combined with music, the energy within the inanimate, the presence of nature in the unnatural, the thrill of discovering something beautiful where it may not be obvious.